What is under that vinyl? My neighbors decided to spruce up their exterior, they exchanged their faded mint-green vinyl for trendy dark blue vinyl. 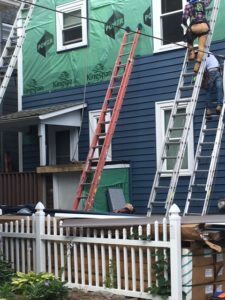 I took the opportunity to provide you with this tour of vinyl siding. Around here, the vast majority of vinyl sided houses have perfectly serviceable wood shingles underneath. 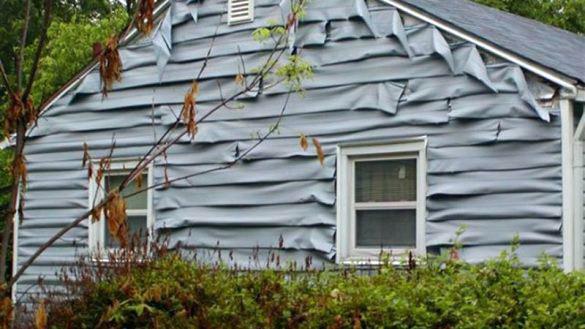 People choose vinyl or aluminum siding because they do not want to pay to maintain a wood shingle house. 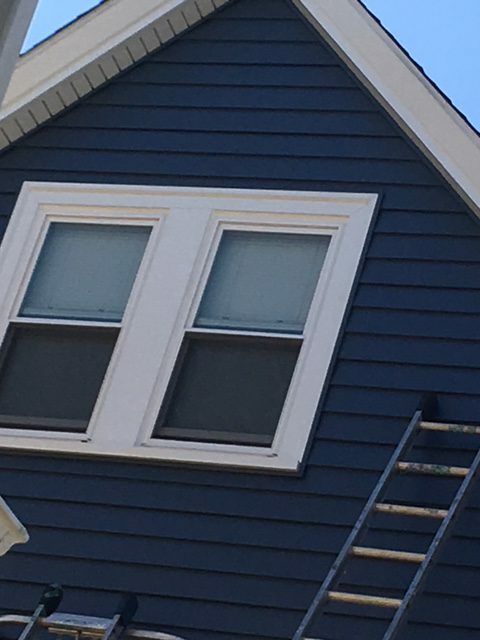 Painting a wood house averages about $2000 a year. 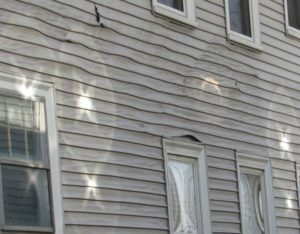 A full repainting of a typical house is $15,000-$25,000, and it is needed once a decade or more frequently. 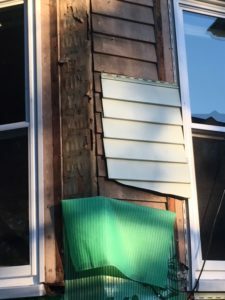 The workers pulled off the faded green siding to reveal the wood clapboard beneath it. Do you notice those wood circles? 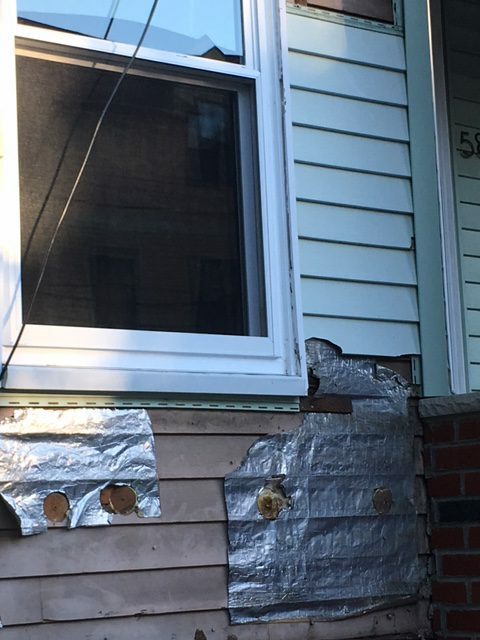 Those are holes where insulation was blown in. 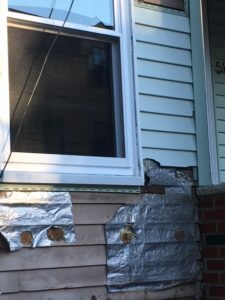 When that was done, those workers removed some of the vinyl, made holes in the wood, blew in the insulation and put the vinyl back. 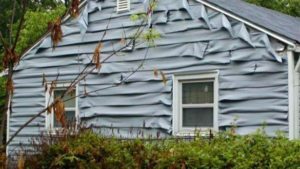 Once the old vinyl is removed, a water-resistant cover is attached to the wood. 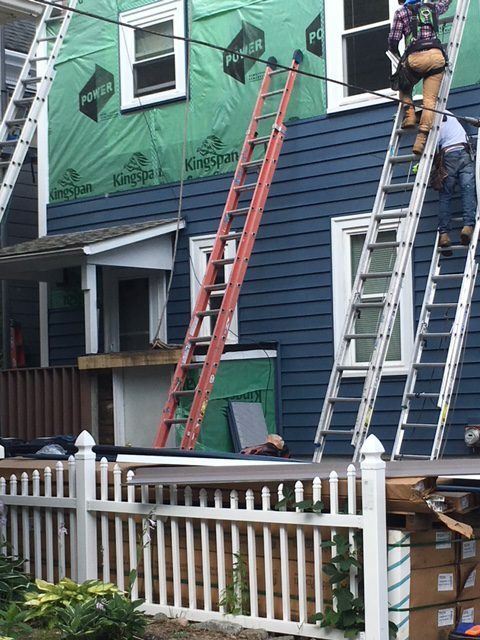 Then, the new siding is attached. 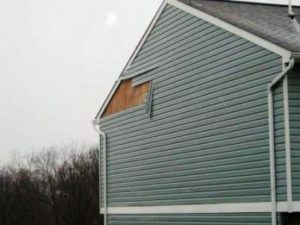 A common roof problem can be fixed by a good vinyl siding installer. Many roofs don’t have ventilation. This causes the roof to heat up unevenly when the sun hits it. That ages a roof more quickly. 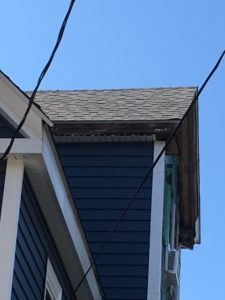 If the vinyl installers add ventilation in their new soffit, it helps. The roof will still need two or more vents higher up the roof, so air can circulate. Wind can pull it off. A tree branch or other heavy object can fall on it and crack it. Ice can get under it and crack it. Under certain conditions, it can melt. 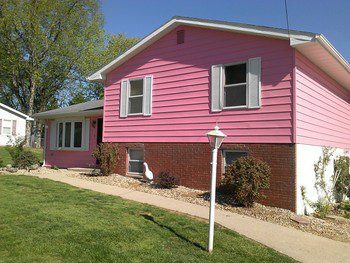 You can get so sick of its color that you pull it off your house, like my neighbors did. 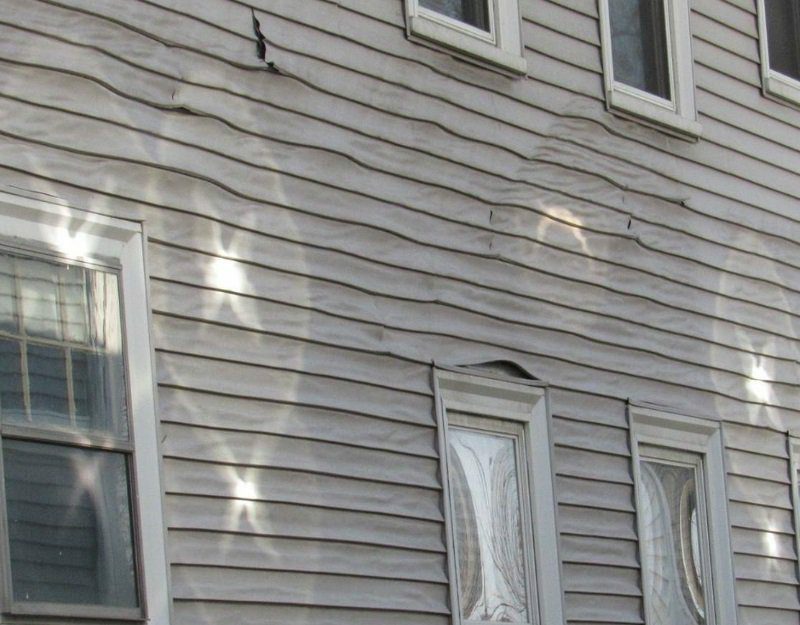 Melting happens when sunlight gets intensified, usually by windows. It is like when you take a magnifying glass and concentrate sunlight to make a fire.